Verdigris Backdrops creates atmospheric, hand-painted canvas backdrops and unique installations for photographers and event planners in the heart of the Midwest. Each one-of-a-kind piece carries the hand of the artist - a natural patina like verdigris on copper. We’re a couple of big-hearted broads slinging paint and power tools out of a white-box studio in Dayton, Ohio. Inspired by the resourceful women of our grandmother’s generation who ran families and businesses, we're spinning stardust out of the tools we have on hand all while sipping a craft cocktail and not letting a pin curl slip out of place. 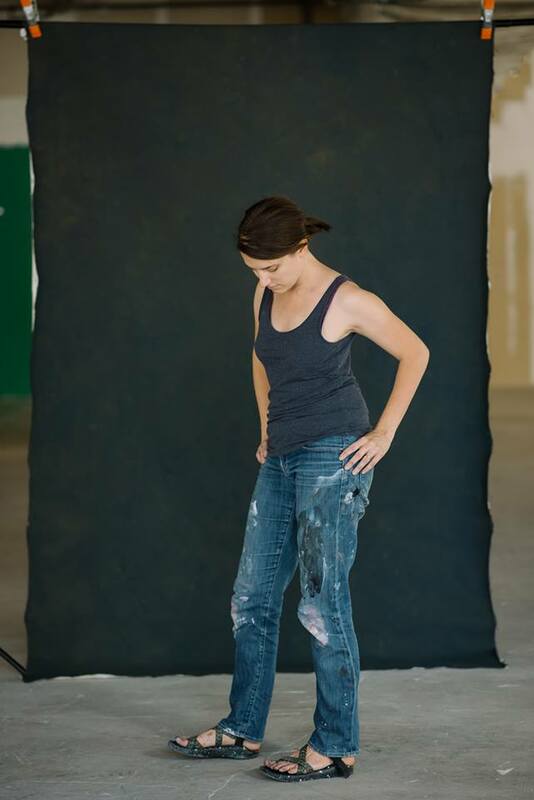 Verdigris Backdrops are available for rentals or custom original commissions. Crafted from the same high-end materials found in theatrical scenery, our drops are ideal for product shoots, portraits, bridal, and high-end fashion photography. Looking for something beyond canvas drops? We design immersive installations crafted to spark wonder and delight. Check our “Installations” page for samples of our work. Perfect for gala events and corporate installations, for your guests and clients to make memories as they interact with the installations. Come and share in the magic with us. Suzy has a history in set design, scene painting, hand lettering and calligraphy. She handles the power tools and paintbrushes around the studio, and is rather partial to a cucumber gin gimlet. Briana is a photographer who hates the term serial entrepreneur, but, hey, if the saddle shoe fits. Co-owner of Knack Creative Production and Studio 42, she leads our strategic planning and handles all client relations. She'll take a manhattan, of course.